Your dog will give you two snaps of approval at our Beefee Snapz. Beefee Snapz are a crunchy, bite size treat great for training all size dogs. 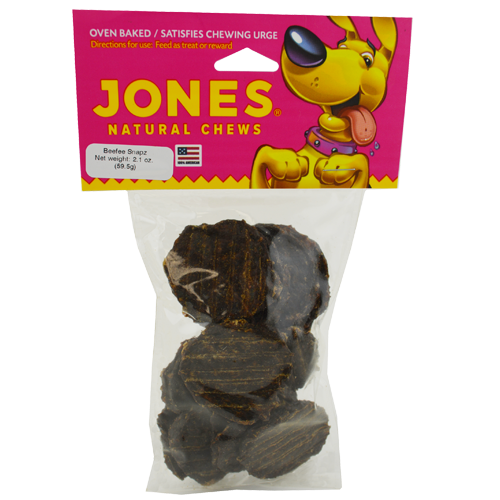 As always, Jones products are 100% grown and made in the USA.